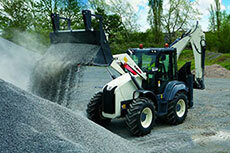 Terex Construction has named Satpal Sokhi as the new Head of Engineering for its UK manufacturing facility in Coventry. Sokhi, who has worked within the Terex Group for more than 13 years, began his new role in March. Over the coming months, Sokhi will oversee a number of corporate initiatives to reshape the company’s engineering department and implement a new product strategy for the Coventry site. This will include a focus on improving quality while reducing costs, alongside introducing a number of new innovations across the site dumper and backhoe loader product portfolios. Commenting on his appointment, Sokhi said: “I am proud to be part of a team which continues to lead the industry in both R&D and technological innovation. As one of the world’s leading equipment solutions providers, Terex is a market leader for many of its products. Since joining the Terex engineering department in 2003, Sokhi has been involved in the development of a number of game-changing product innovations, including Tier 4-final emissions compliant engines across the Terex site dumper portfolio, four-wheel backhoe crab steer and the market’s first use of Start-Stop machinery control. His appointment as Head of Engineering is a further example of the ongoing Terex commitment to furthering and developing talent from within the organisation. Gregg Horne, general manager at Terex Construction’s Coventry facility, added: “We’re confident that Satpal will make a hugely positive impact, bringing even greater value to our current procedures with his skilled perspective. Terex continues to invest in R&D, technology and equipment improvements and Satpal will play a key role in this ongoing development. Featuring 11 stations, the recently commissioned line is already helping the team exceed quality and customer delivery targets. Terex Construction has strengthened its network of UK equipment distributors with a trio of new appointments in Berkshire, Cardiff and West Sussex.